Citroen will unveil the Technospace concept at the Geneva motor show next month. 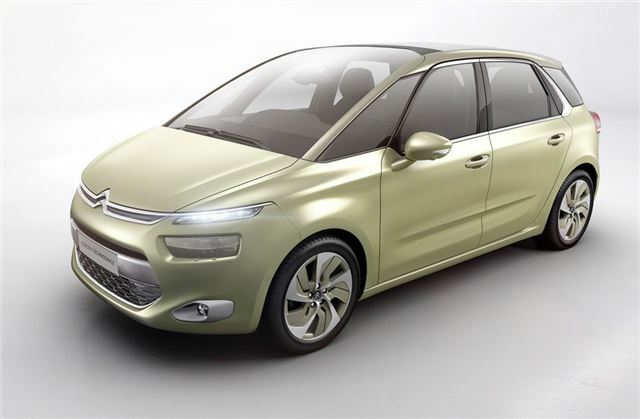 The 'concept' is essentially the next generation C4 Picasso which is set to go on sale in October. The current Picasso and Grand Picasso celebrate their sixth birthday, but remain a popular choice in this crowded market sector. But a new model is on the way, and is due for launch late in 2013. The Geneva Technospace concept strongly hints at the replacement model, with strong DS-series styling cues might well be badged the DS4 Picasso. Citroen is keen to promote the concept as a technical showcase, though - branding its innovations as ‘Créative Technologie’. Features that its maker are pushing for the concept - and also the later production version - are its compact size and low emissions. It's a looker, too - the Technospace features bold feature lines, and high-tech headlamps reminiscent of the DS5, while the 3D-effect tail lights have already made production in the new DS3 Cabriolet. A headline CO2 output of 98g/km is promised, as well as a full-touch driving interface with a high-definition 12-inch panoramic screen. Curiously, Citroen has published some dimensions (length 4.43m, width 1.83m, height 1.61m), and well as boot space figures (537 litres), but we'll have to wait and see what's powering it.